This is a repackaged item with full factory warranty. These items have been either opened or returned, then repackaged in a plain brown cardboard box with power supply and software. The plastic bags that the items come in inside the box may have been ripped open or may be missing which is common in a return or demo model which these may have been. The story of why these are so inexpensive: A major chain store ordered a little over 20 of these from Digitech. Someone entered the order with an extra "zero" so a little over 200 of these shipped by mistake. Before the mistake was caught, the major chain had all ready put their price and inventory labels on all of them. Digitech picked up 200 or so of them and they were repacked in plain cardboard boxes as peeling off the labels turned out to be nearly impossible. They offered them to us at a deep discount to take them all in need of repackaging. Of course we took them all as it allowed us to offer you the customer an amazing deal! It was only a matter of ordering special boxes, inspecting and repackaging each one, and then sealing them in their new brown cardboard shipping box. There were a handful that showed the inner plastic wrap being opened (which is this listing). We suspect these were ones actually opened and possibly customer returns. They still come with a full factory warranty, but at a fraction of the price. Digitechs RP500 boasts tons of models, effects, and performance-friendly features sure to make it the center of your guitar rig! A new Pedalboard mode makes the RP500 act like 5 separate stompboxes and effects, and a bypass mode lets you easily turn off all amp and cabinet sounds so you can focus on effects only. Built like a tank with 9 vaccum-style switches, and a convenient 10-character LED display, you also get a built-in expression pedal to take control of your sound. Packed with pro-rig sounds in one portable, affordable box, you won t believe how you ever played without your Digitech RP500! Boasting even more effects, as well as a host of new amp and cabinet models - including acoustic guitar models - the RP500 is a palette loaded with sonic colors designed expressly to inspire your creativity. 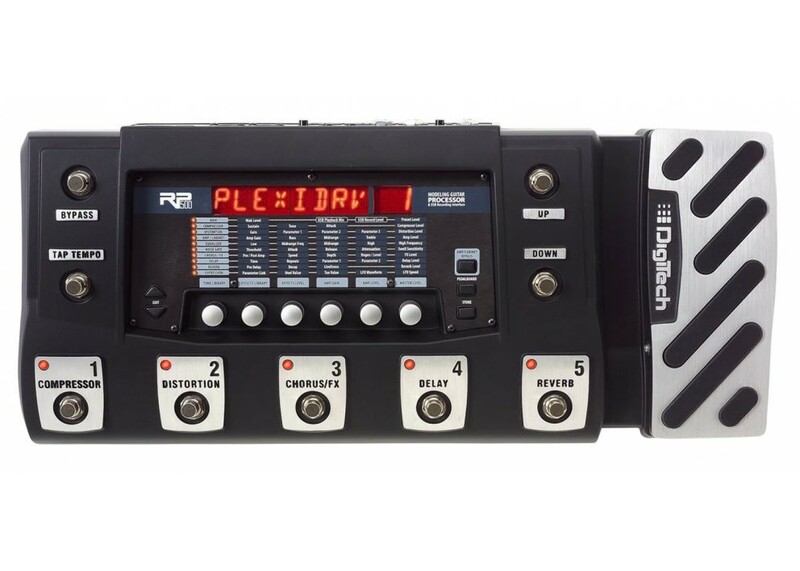 Digitech s RP500 includes a new Pedalboard mode. When activated, you can turn five effects on and off via the RP500 s convenient footswitches. 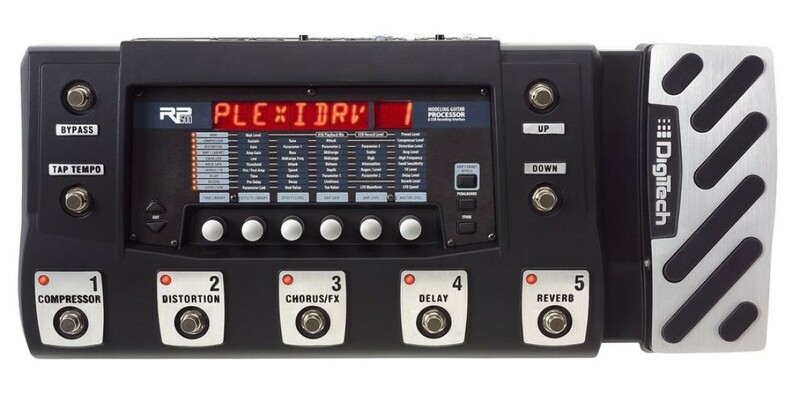 Acting like a complete pedalboard in one convenient unit (with only one AC adaptor! ), you can get your signature sound in a pinch with the RP500 - no more need to haul all of your gear to and from rehearsals. If you re content with the sound of your amp, but want a ton of effects to boost your current pedal setup, the RP500 now features an amp/cabinet bypass mode. When used in tandem with Pedalboard mode, you can focus only on turning effects on and off, using the built-in expression pedal for dynamic, real-time control. Whether you have a home studio setup already, or you re a guitarist who would love to capture your riffs and song ideas - without having to spend a ton on studio gear - the RP500 is ideal for you. All you need is a computer with an available USB connection, and you can start recording and editing your songideas right away using the RP500 s included Cubase LE software. Plus, the RP500 also comes with X-Edit Editor/Librarian software for both Mac and PC. Via that same handy USB connection, you can actually program and archive all of your presets via the software s intuitive user interface and load them onto your RP500 whenever you want. With this versatile pedal s host of software options, you ll never have to worry about forgetting a riff or losing your favorite presets again!